We are the premier Jewelry Store and specialize in Jewelry Repair, Watch Repair, Cell Phone Repair, iPhone Repair, iPad Repair and any cracked screen repair for any device in the Hemet, CA area! We have been in business for over 30 years and are experts in Jewelry Appraisals, Custom Jewelry Design, Engraving, Ring Sizing and we offer a wide variety of premium brands and materials including top grade diamonds, Rolex watches Gold, Platinum and more. 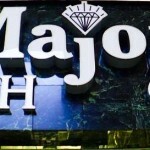 At Hemet – Major Jewelers, Watch & Clock Repair, we have over 75 years of combined clock repair experience. Many of the clocks in for repair at our shop are grandfather clocks. Grandfather clocks require an extra level of expertise due to the complex nature of the mechanism. Many grandfather clocks have various settings like multiple chimes and automatic night time silent, all of which necessitate an intimate knowledge of the movement in order to repair the clock properly. Antique grandfather clocks are even more difficult, mainly because those types of mechanisms are fewer and farther between. This makes gaining valuable experience on these rare clocks hard to come by. We have a large facility in downtown Hemet, CA designed to optimize our clock repair needs. Our repair experts are well equipped with the proper tools and resources to professionally overhaul the grandfather clock. Complete disassembly of the clock mechanism is required for qualified repair. We have specially designed racks that allow us to set-up and test your grandfather clock after it has been repaired to make sure it is operating correctly. These racks allow us to leave your grandfather clock case in your home while we bring the weights, pendulum, and mechanism into the shop for repair. This way, you don’t have an empty spot where your favorite grandfather clock used to be! You can either bring your grandfather clock mechanism to us or we can set up a house call where we come and pick your grandfather clock up ourselves. We bring the grandfather clock back to you after it has been repaired and set it up for you in your home. Give us a ring at (951) 766-5364 to speak to us about repairing your grandfather clock any time! 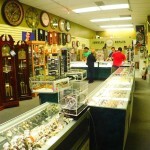 We are Hemet’s best Jewelry & Watch Store, Watch Retailer, Clock Store and have styles for men and women. 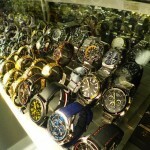 Our watch brands include, Gucci, Bulova, Movado, Seiko, Wittnauer, Citizen, and more! If you need service, repair or maintenance on any of your time pieces Hemet Major Jewelers, Watch & Clock Repair is the choice for you! We offer Watch Repair, Timepiece Overhaul, Watch Maintenance, Clock Repair, Clock Maintenance, Timepiece services of all kind. We can provide our various services while you wait which includes Watch Re-sizing, Watch Link Removal, Watch Battery Replacement and more all within our location at Hemet Valley Mall in Hemet, CA – Riverside County. We book up early! We sometimes have cancellations and same day availability. Call (951) 766-5364 to schedule an appointment today!